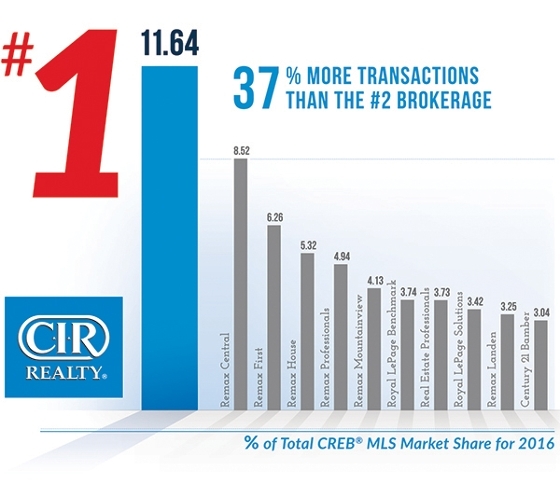 For the 7th year in a row CIR Realty is the number one brokerage in sales for the whole of Southern & Central Alberta accounting for 11.64% of all Calgary Real Estate Board transaction. Our nearest competition is a whopping 37% behind us! Thanks to all our clients for making us what we are today.